This is the second in a series of posts about interesting, inspiring and influential people. After a series of chance encounters, Goodall arrived at the Gombe Stream Chimpanzee Reserve in western Tanzania in 1960 to take on a project: studying chimpanzees. Goodall defied scientific convention by giving the chimps she was researching names instead of numbers. Soon after commencing her research Goodall saw chimps strip the leaves off twigs in order to make tools for fishing out termites from a nest. This was an important discovery and proved that humans aren’t the only tool-making species. Other of Goodall’s significant discoveries about chimpanzees included that they were not vegetarians, they engaged in war, they taught each other skills and they displayed compassion. In 1962 Goodall entered Cambridge University as a Ph.D candidate. She was one of few people to be admitted without a college degree and earned her Ph.D. in ethology (animal behaviour) in 1965. 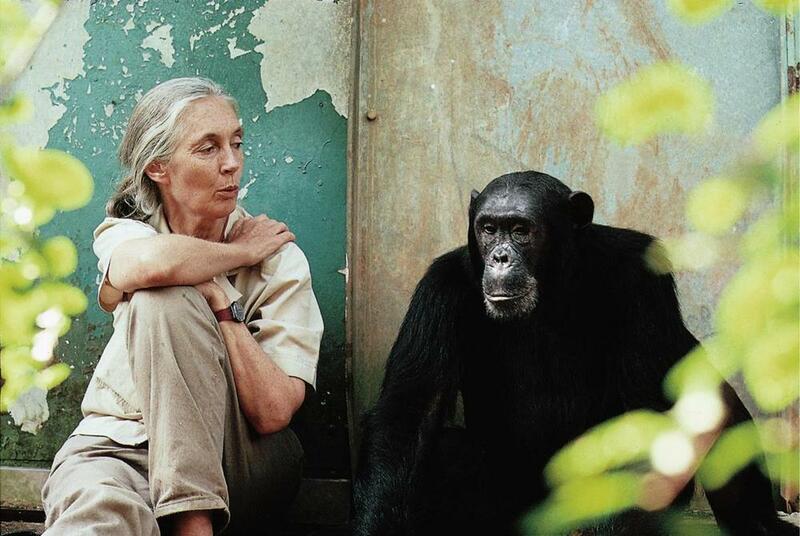 In 1965 Goodall established the Gombe Stream Research Centre in Gombe and in 1977 she established the Jane Goodall Institute (JGI), which continues the Gombe research an is a leader in the effort to protect chimpanzees. In 2002 Goodall was appointed to serve as a United Nations Messenger of Peace by UN Secretary-General, Kofi Annan. In 2004 she was made a Dame of the British Empire during a ceremony at Buckingham Palace in London. Jane Goodall has written numerous articles, books and children’s stories and has appeared in many documentaries. Today Jane continues working by speaking to all types of audiences as well as high-level conferences about the threats facing chimpanzees. There are some beautiful photos here of a young Jane Goodall, including one of her with her first chimpanzee soft toy. “In 1962 Goodall entered Cambridge University as a Ph.D candidate. She was one of few people to be admitted without a college degree” – I had no idea; that’s so cool! Great post Solange. Thanks Esther! I really admire this woman…she’s awesome.